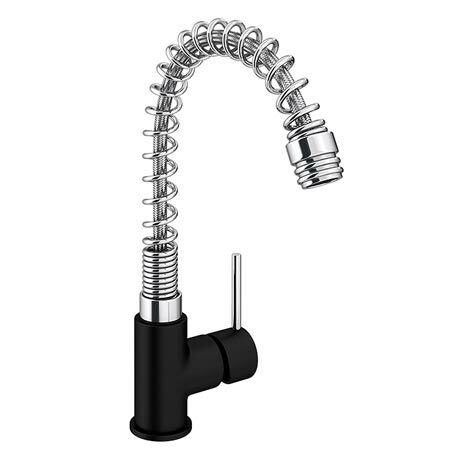 Featuring a sleek and contemporary design, the Cabana single lever Flexible black and chrome mixer kitchen tap has a strong solid brass body and a flexible spring spout making it ideal for pre-rinsing dishes or aiming water flow. Fitted this tap into my sister's sink in Dublin. They are very happy with it. Love the taps as described.